“French church set on fire and spray painted with the words ‘Allahu Akbar,’” by Abdelhamid Kaddour, Voice of Europe, July 27, 2018 : A church in Orleans was set on fire on 25 July. Police discovered the words “Allahu Akbar” spray painted on a wall, 20minutes France reports. 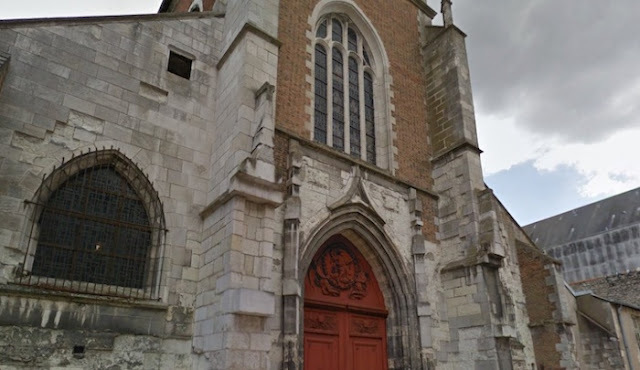 On Wednesday night The Saint-Pierre du Matroi church in Orleans was set on fire with “criminal intent”, according to police sources. Furniture and sheet music were burned and the heinous graffiti found. One of which said “Allahu Akbar”. Fortunately the fire was extinguished quickly by firemen and it didn’t burn the church’s supporting structure….